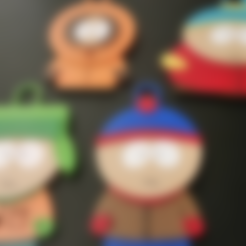 This time up we have some South Park characters for you. 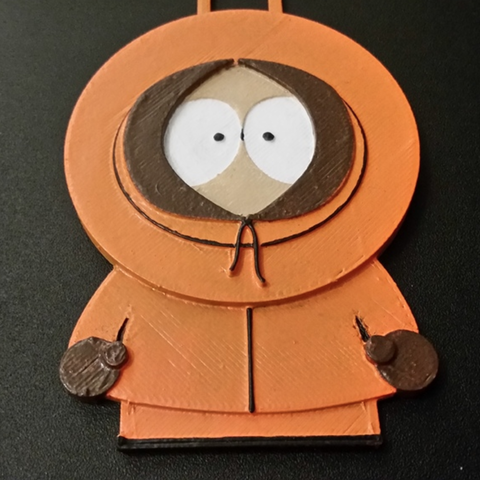 I made the main 4: Stan, Kyle, Cartman and Kenny. 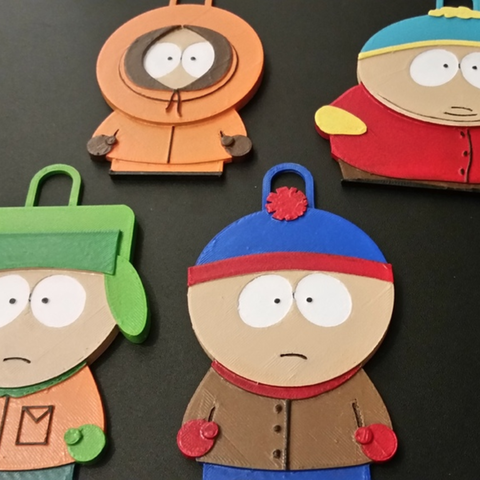 I modeled these in Fusion 360 by importing an image and basically tracing it with a sketch. Then I extruded the different parts upwards at varying heights to get them that distinct 2D plus a slightly 3rd dimensional look. 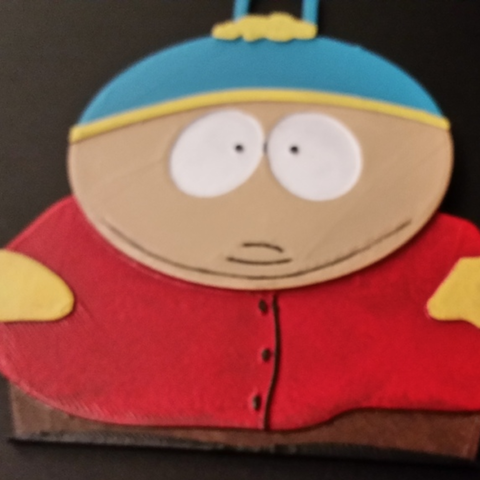 Then my wife primed them up and painted them using acrylic paints. She used a combination of paintbrushes and sponges. 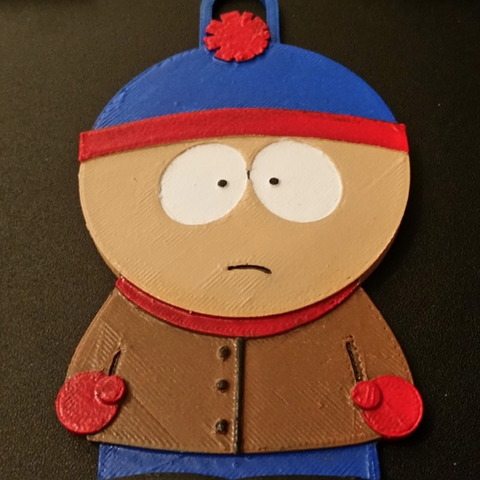 I also included little tabs to hang them up because we're going to be decorating a South Park themed Christmas tree.